Vietnam has long maintained “no alliance” as a core principle in its foreign policy. However, as China becomes increasingly assertive in the South China Sea, there are indications that Vietnam is moving towards “alliance politics”, or efforts to forge close security and defense ties short of formal, treaty-bound alliances with key partners, to deal with the new situation. This chapter seeks to explain why such a shift is both necessary and feasible for Vietnam. It starts by reviewing Vietnam’s strategic policy toward China since bilateral normalization in 1991, especially its hedging strategy and the so-called “three no’s” principles, and explaining why such a strategic position has become increasingly questionable. The chapter then analyzes why Vietnam should pursue alliance politics to deal with China’s increasing assertiveness in the South China Sea and looks into the measures that Vietnam has been undertaking in that direction. The chapter will accordingly analyze Vietnam’s strengthened security and defense ties with the Philippines, Japan and the United States as case studies of Hanoi’s pursuit of alliance politics in the South China Sea. 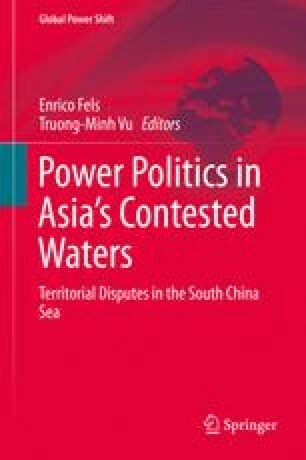 An earlier version of this chapter was originally published by ISEAS as “Vietnam’s Alliance Politics in the South China Sea”, Trends in Southeast Asia No. 6, 2015.